Winter-1990. The most notorious serial killers in the history of Canada begin their psychological dance with death and depravity as an entire country is held captive in fear. 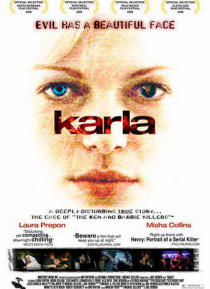 In stunningly acclaimed performances, Laura Prepon and Misha Collins breathe perverse life into their real life counterparts of Paul Bernardo and Karla Homolka, dubbed by an anxious press, the "Ken and Barbie Killers". As the… gruesome events unfold, and lovely young girls disappear, the utter lack of remorse from Paul coupled with his quirky charisma paint a delusional world of normalcy for Karla. Police frantically search for and eventually put an end to the couple's horrific killing spree, and their trial captivates the entire nation setting off waves of controversy surrounding the brutal killings. In the end, this gripping, tension-packed film will haunt you forever, to ponder the psyches of two individuals in a tragically demented relationship because it's true.